The following is a guest post by my colleague Bob Lawhead. On April 8, 2014 the U.S. Department of Justice announced “a landmark settlement agreement between the United States and the state of Rhode Island, vindicating the civil rights of approximately 3,250 individuals across the state with intellectual or developmental disabilities (I/DD).” This case constitutes the nation’s first statewide settlement involving the unnecessary segregation of people with disabilities in segregated sheltered workshops and day facilities, in violation of the Americans with Disabilities Act. It is well known that these conditions exist in every state of the union and in the District of Columbia. Programs continue to segregate people, seemingly justifying the continuation of inaccessible publicly-funded recreation centers and programs. Sheltered workshops and segregated day activity centers continue to keep people in perpetual slavery without the benefit that comes from a real job for real pay. These examples are most certainly “separate” but have never been “equal” to the public educational, recreational and employment programs currently in existence for the “typical” population. We must move forward to correct the injustice of state-sponsored segregation for people with intellectual and developmental disabilities. Professionals currently understand how to provide effective supports to people who desire employment. Research tells us that integrated employment options actually cost less than ongoing segregation during the day. Most importantly, people and their families are telling us in increasing numbers that they want to take their place in the regular workforce. It’s time, it’s right, let’s go for it! 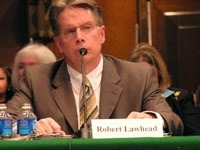 Bob Lawhead serves as CEO of Community Link in Colorado. He is Public Policy Chair for the Colorado Association of People Supporting Employment First (CO-APSE) and Co-Chairs the National Association of People Supporting Employment First (APSE) Public Policy Committee. Bob also serves as the Colorado Project SEARCH Statewide Director, is a member of the TASH Employment Committee and is an advisor to Self-Advocates Becoming Empowered (SABE) of Boulder County.